Saracens coach Mark McCall paid tribute to Matt Stevens after his first competitive rugby since his two-year drugs ban. 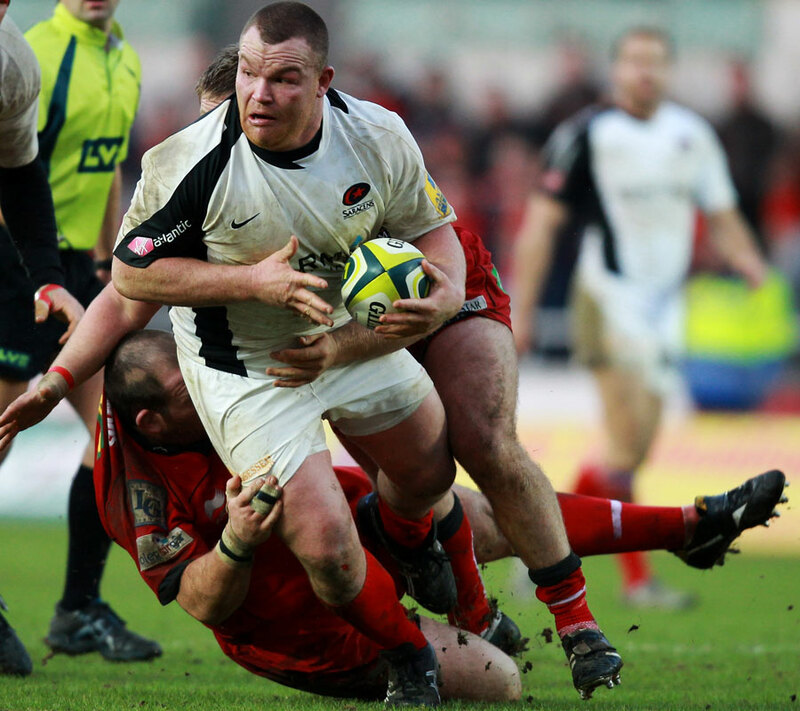 Former England prop Stevens came on in the 48th minute of Saracens' 37-7 Anglo-Welsh Cup victory over the Scarlets at Parc y Scarlets. And McCall was delighted with his contribution. "Matt scrummaged very well when he came on," said McCall. "He is going to get better and better the more he plays and the more match fitness he gets. He's been out of rugby for a very long time so he is still learning our systems but he did well from a scrummaging point of view. "But our whole scrum was good. We have got a young guy called Jared Saunders who did well for us. We might give Matt a go at tight-head next week (against Sale)." Scarlets head coach Nigel Davies knew his young Scarlets side - they were without more than 20 frontline players - had been up against it in the five tries to one defeat. "We played well at times but we just couldn't hold on to the ball," he said. "In fairness to Saracens they brought a big physicality to the game and when sides do that they will pressurise you. "We were able to blood a few guys today because we have nine players on international duty and another 11 injured. It is great experience and exposure for these players." The Scarlets were not helped that lock Dom Day and No8 David Lyons went off injured in the second half. "Dom has a shoulder injury and David has injured a knee - both injuries look pretty serious," added Davies.